Count me among those who think Detroit should sell its art to help settle its debt obligations. 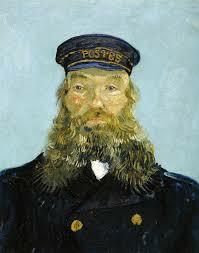 I love art but at the end of the day, the Postman Joseph Roulin is just canvas with some dried colored oil. That canvas could fetch over 100 million dollars at auction. The proceeds from that sale and others like it could help the city settle its pension obligations and maintain its essential services. If a city is forced to choose between maintaining its art collection and fulfilling its promises to retirees, the proper course should be obvious. Art is a luxury for those who can afford it. The masterpieces currently housed in the DIA will not be lost. They’ll be transferred to those who can afford to manage them and the city will generate revenue it desperately needs. The general welfare is more important than the public’s art. It’s true that many works will find their way into private hands and won’t be accessible to the public. That will be an unfortunate event but one that won’t last very long. Among those who have the capacity to purchase Detroit’s finest works of art, few have more than forty years left on this planet. The best works will find their way back into the finest museums. Detroit’s masterpieces will all be available to the public at some point after their sale. They shouldn’t be managed now by a municipality that can’t afford to pay its pensioners and pull people from burning buildings. Detroit should receive some of the #90 Billion the U$ Government is spending in Kabul this year. Save the Art for the residents who are left in Detroit!